Before embarking on painting or oiling your wood cladding, it is important to make sure that any old coatings are fully removed. 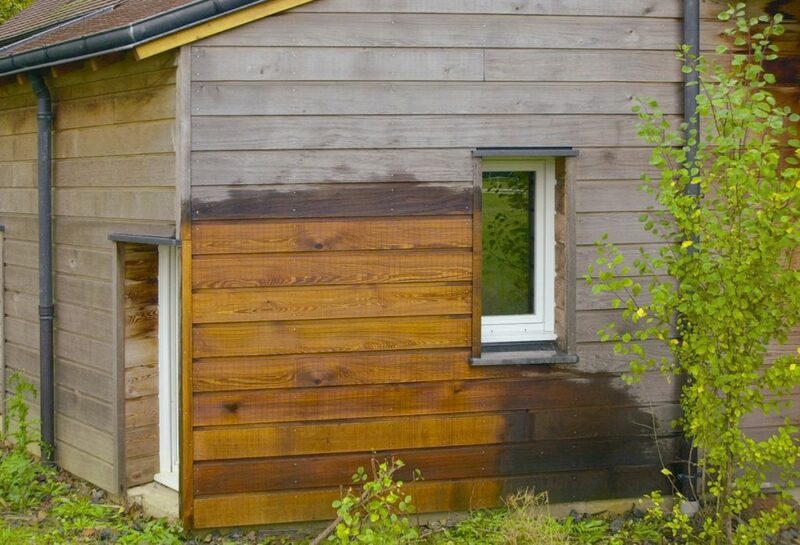 If your wood cladding has not been finished with anything before then obviously you can skip this step but if it has, you’ll need to remove it. Follow our simple guide to find out how to strip wood cladding. By stripping off paint or oil from your wood cladding before applying your choice of finish, you can achieve a much longer lasting finish. If you don’t strip your cladding beforehand, you run the risk of your new coating simply not penetrating or adhering or flaking off very soon after drying, dramatically reducing the amount of time your new finish will look good for. Wood cladding strippers essentially prepare your wood cladding for its new coating, improving both adhesion and penetration. What kind of product you need to strip your wood, depends on whether you are trying to strip off oil, paint or other types of coatings. Regardless of which type of stripper you’re using, prior to stripping your entire cladding, you should initially perform a ‘touch test’. In order to do this, you simply need to apply your stripper to a small area of your cladding and leave it. After a short period of time, try to scrub the edge to see if the coating is coming off. If it’s not, leave it a little longer and try again. Record how long it took for the coating to lift off and then this is your ‘touch time’. As long as your surface is coated fairly evenly, you’ll know how long you’ll need to leave the remover on when you’re stripping the rest of your cladding. A sample pot of stripper is a great way to do this. If you’re not sure what coating is on your cladding, a sample pot of Marine Strip is a great place to start. 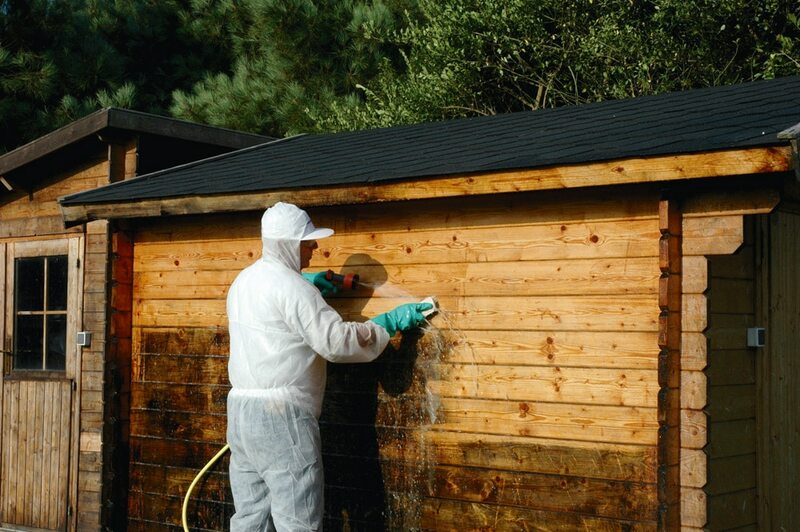 If your cladding is covered in wood oil, we recommend using Aquanett to remove them. An exception to this is if your wood is already treated with an Owatrol penetrating wood oil. If this is the case then you’re essentially performing maintenance and so won’t need to strip and start again. If you’re working with a different previous wood oil though then it will need to go, to allow any new finish to penetrate. This solvent-free wood oil remover not only restores the natural color of the wood but also removes previously applied oil, including teak oil. The gel-like consistency of Aquanett makes it a great choice for wood cladding, as it won’t ‘run away’ down vertical surfaces as much as a liquid remover would. Using Aquanett is simple: just apply it to your cladding, leave it to work for a maximum of 5 minutes and then scrub your cladding with a stiff nylon brush, whilst rinsing it with water (the higher the pressure of the water, the better). For paint-covered wood cladding, we’d recommend Marine Strip. Its gel-like consistency makes it great for vertical surfaces and it can strip up to 8 coats of paint in only 1 application. As it doesn’t dry, you can leave it on your cladding for up to 12 hours, if your cladding is covered in particularly stubborn coatings. Marine Strip also removes varnish, waxes and most antifouling paint. Simply apply Marine Strip to your wood cladding, leave it to work and then rinse it off with water, whilst scrubbing in the direction of the grain. After stripping your cladding, you should apply Net-Trol. This will help to prevent the stripper remaining active in your wood cladding and is essential before applying your finish. It’s important to read all instructions on the product you’re using and to ensure that you carry out any safety recommendations. We hope that you found this article useful. In the next part of our guide, we’ll talk about how to clean untreated wood cladding and restore its color.